With the kids on school break for a week in late October we decided to take a quick trip to Paris, which is just three and a half hours away by a TGV train direct from Lausanne. This is a popular weekend get-away for expats here and one we had been looking forward too for a while. In the end, however, Paris was a bit of a disappointment. There were long line-ups at the museums, the food was lousy, our hotel room was boiling hot, I caught a cold, and the list goes on. Oh well, at least it was raining. 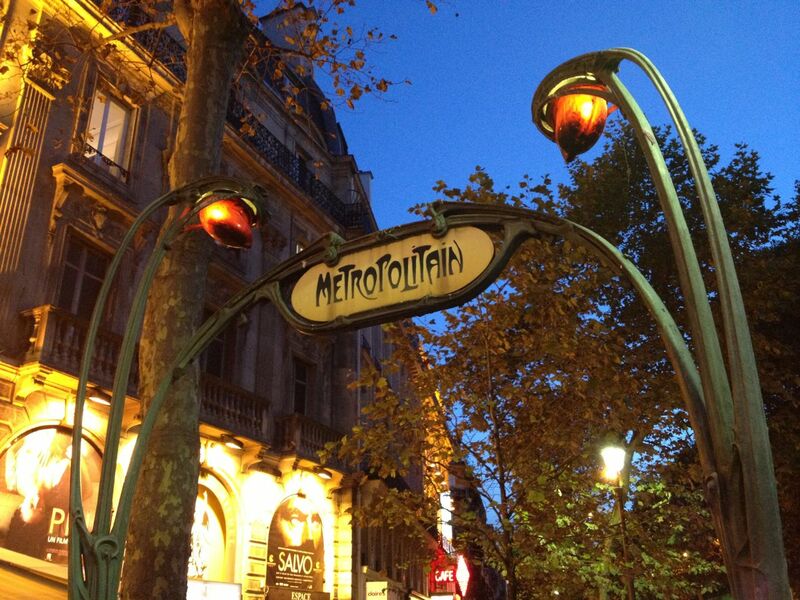 Seriously though, while the trip had its bright spots, I came home feeling a little let down by the City of Lights. Maybe we were expecting too much, maybe we should have planned a little more in advance. In any event, we had such fond memories of our last visit in 2008 that I couldn’t help but compare this most recent trip (unfavourably) to the previous one. I don’t want to dwell on the disappointments too much, but bear with this brief rant and I promise to get to the good stuff after. Notre Dame cathedral, celebrating its 850th birthday this year. First of all, a word about line-ups. If you think that by visiting Paris in late fall you will avoid the long line-ups at museums and other tourist destinations, you are mistaken. There are still plenty of tourists around, as well as all those damn art-loving Parisiens who return to the city at the end of the summer! On our first day out we found the wait times for walk-ups at both the Musee de l’Orangerie and the Musee d’Orsay were up to two hours! So, after a Gallic shrug, we went for lunch instead! Who wants to waste precious time in Paris standing around in line?! After purchasing museum passes for the following day that promised access to the express line-up, we still waited 45 minutes to get in! My advice: purchase advance tickets online, or book a private tour with a designated entrance time, either that or just go for lunch! 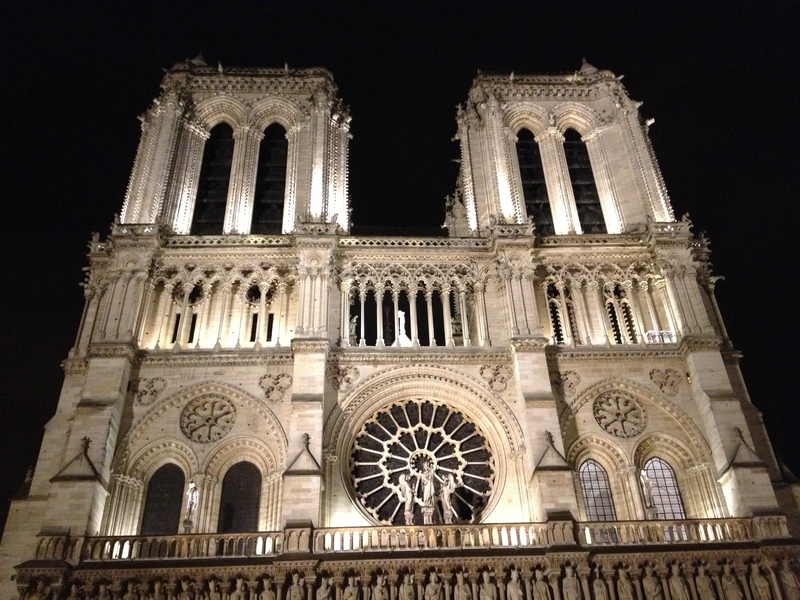 We stayed in a 4-star hotel in St. Germain, right on the banks of the Seine and just downriver from Notre Dame cathedral. However, while the hotel staff were always polite and helpful, this was definitely a 4-star hotel with 1-star mechanicals. Everything looked good, but nothing – climate control, bathrooms etc. – worked very well. While the location was very convenient for accessing major museums, we also found ourselves smack in the middle of a tourist ghetto of restaurants and cafes serving overpriced and barely palatable food. I knew we were in trouble when, after a so-so meal of steak-frites on our first night, our pushy waiter helpfully suggested what the amount of his tip should be. Classic! Then one night at a Greek restaurant in the Latin Quarter, our order of calamari arrived with 12 identically shaped deep-fried calamari rings on the plate – clearly machine-processed mystery seafood product of some kind. This was definitely not Toronto’s Greektown. Then there was the Italian place where our order of bruschetta arrived, consisting of pizza crust brushed with a bit of pasta sauce. Definitely not Little Italy either! In the end, the culinary highlight of the trip was a pretty decent “American cheeseburger” with fries that Lachlan and I had in a little outdoor cafe in the Jardin des Tuileries. OK, enough whining. We’re certainly not the first tourists to feel let down and ripped off in Paris, and given where we chose to stay and eat, maybe we had it coming. File under: “First World problems”. 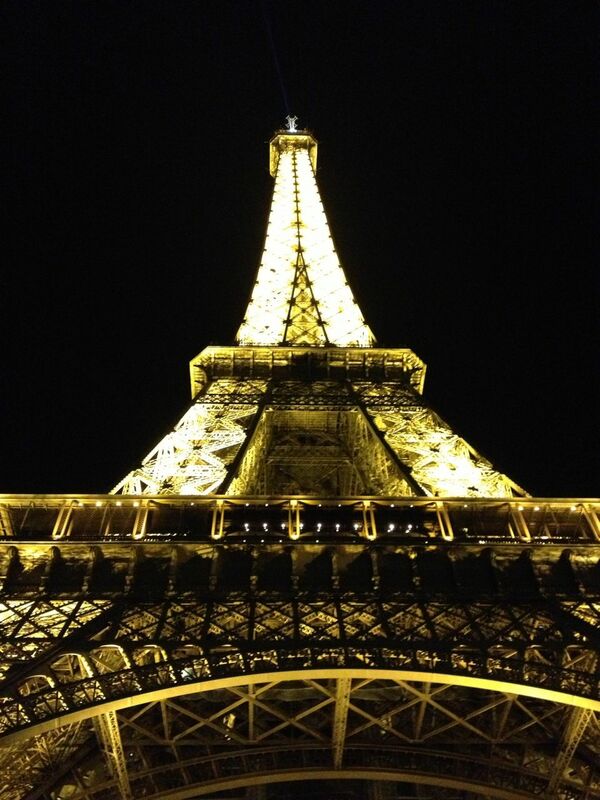 Truth is, our trip to Paris was far from a total write-off. First, and best of all, we got to meet up with my parents for a couple of days. Mom and Dad were using Paris as a stopover en route to the cote d’Azur, where they were going on a walking tour. We had lots of time to visit with them while standing in museum line-ups, and we kept one another entertained as we choked down one mediocre meal after another. 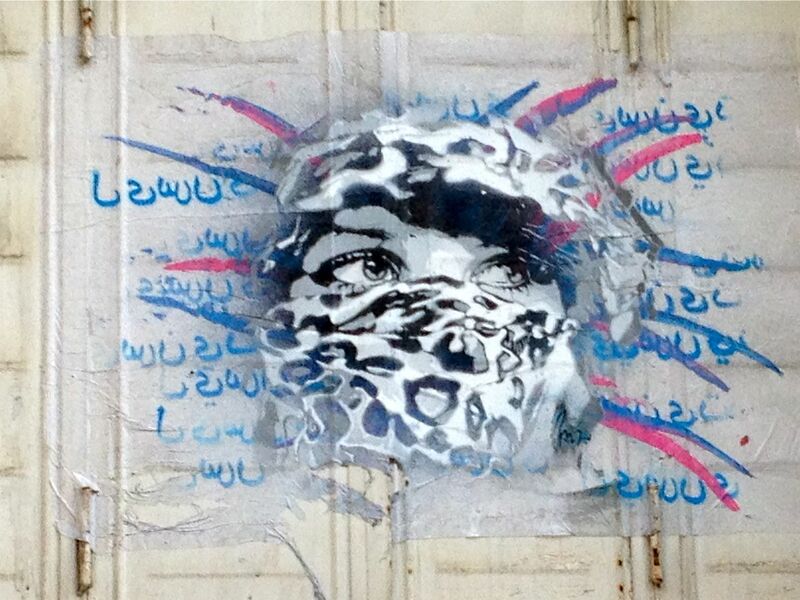 We have my mother to thank for suggesting one of the more memorable experiences we had in Paris: visiting the “Tour 13” street art and graffiti show. 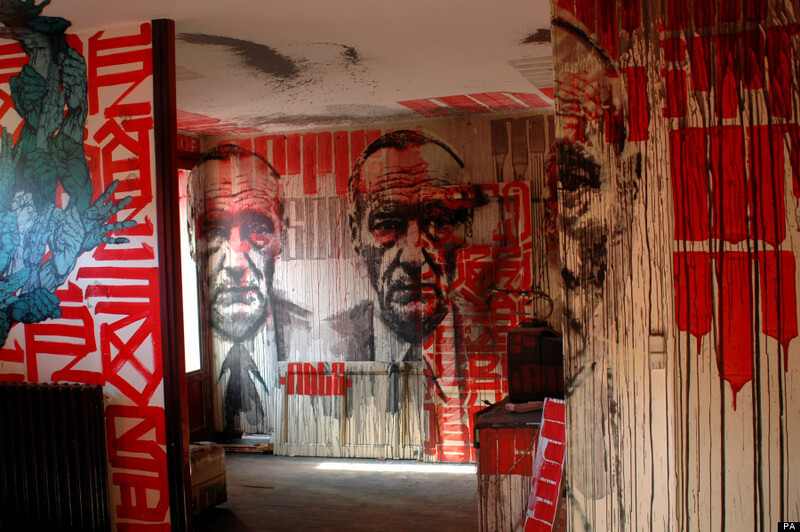 Tour 13 is (was) an innovative street art show involving over 100 street artists from around the world who were invited to take over and create works of art within a derelict public housing complex – called “Tower 13” – that was slated for demolition. 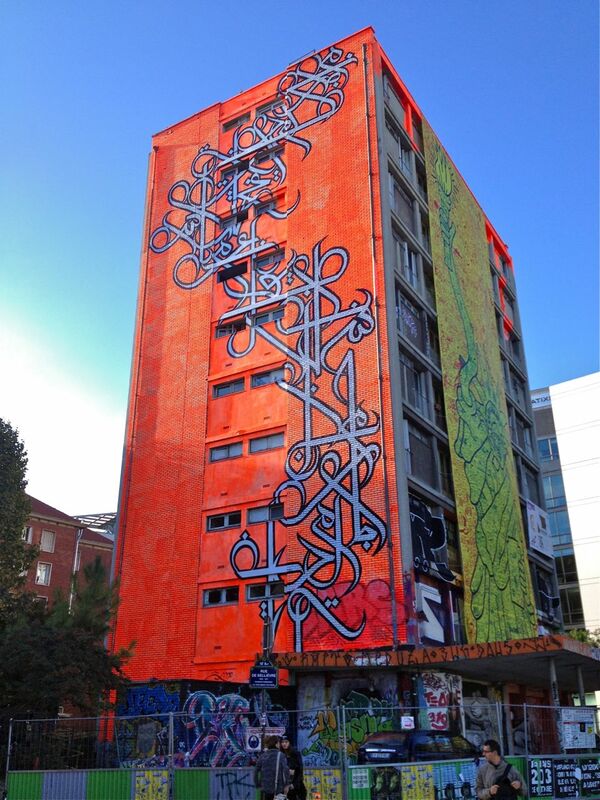 Over the course of several months the artists decorated virtually every surface and nook and cranny – inside and out – of the seven story building. Following completion, the building was opened to the public for the month of October. Think of it as the anti-Louvre; instead of classic masterpieces preserved in perpetuity (such as those just downriver at the musee du Louvre), Tour 13 celebrates art and creative practice in one of its most marginal and ephemeral forms – street art – the kind of guerilla art furtively produced in the shadowy underbelly of the city and that, more often than not, soon disappears with the stroke of a city worker’s or property owner’s paint brush. 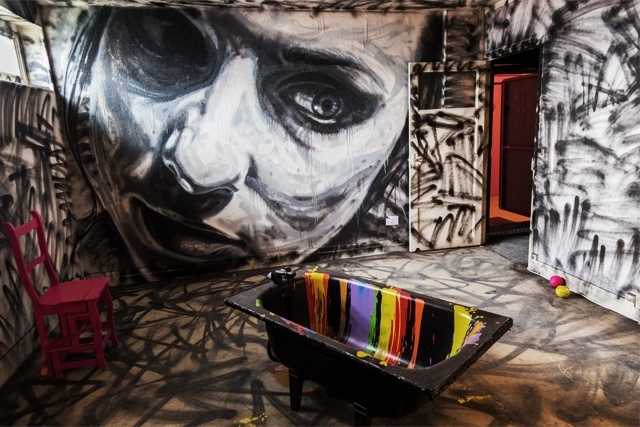 In keeping with the transitory and ephemeral nature of street art, the building itself, artworks and all, was to be destroyed following the public exhibition. One mid-afternoon the six of us made the trek to Tour 13. 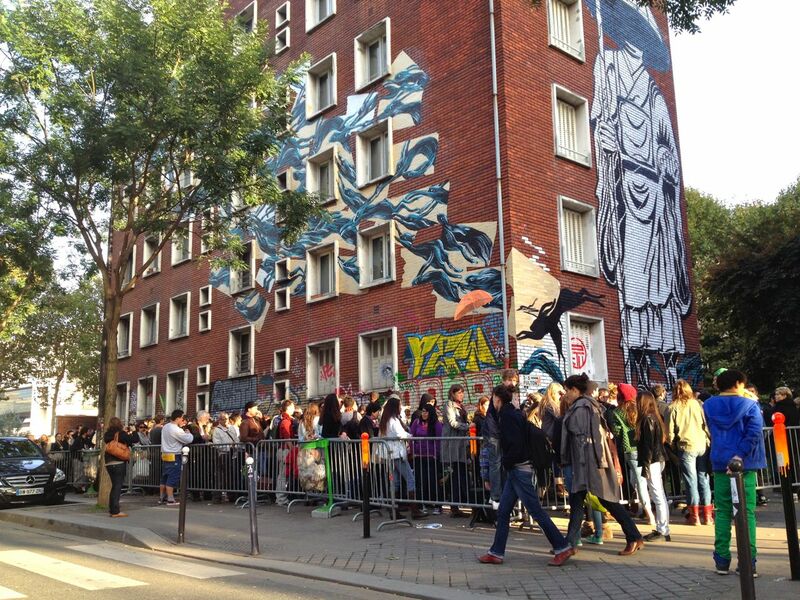 When we arrived, we found a long line-up of about 400 people snaking its way around the building. That figures! Waiting in line was becoming a major theme of the trip anyway. After a few minutes spent admiring and taking photos of the building exterior, we joined the line, excited to get inside. After a while, however, rumours began making their way to us that it was a four hour wait to get in! After waiting half an hour to move 50 feet, I began to believe it. Every 10-15 minutes, shouts and cheers erupted from the entrance, as small groups of 3-5 people were allowed in. Apparently, for safety and security reasons, only a trickle of visitors was allowed in at a time. By 5pm and after almost 2 hours of waiting in line, our merry group – ranging in age from 12 to 75 – started to get cold, hungry and grumpy, and it was starting to look like we would not make it inside before the 7pm closing. People just leaving the building had been in line since 10 a.m.! One woman in line with us said that she was making her third attempt at getting in. Disappointed (again! ), we made the difficult decision to leave the line. Below are a few examples of the interior artwork that we didn’t get to see. During the month of October over 30,000 people toured the exhibition, which also received a lot of international attention in the media. While we were disappointed about not getting in, we definitely felt like we had witnessed and participated, however briefly, in something special. 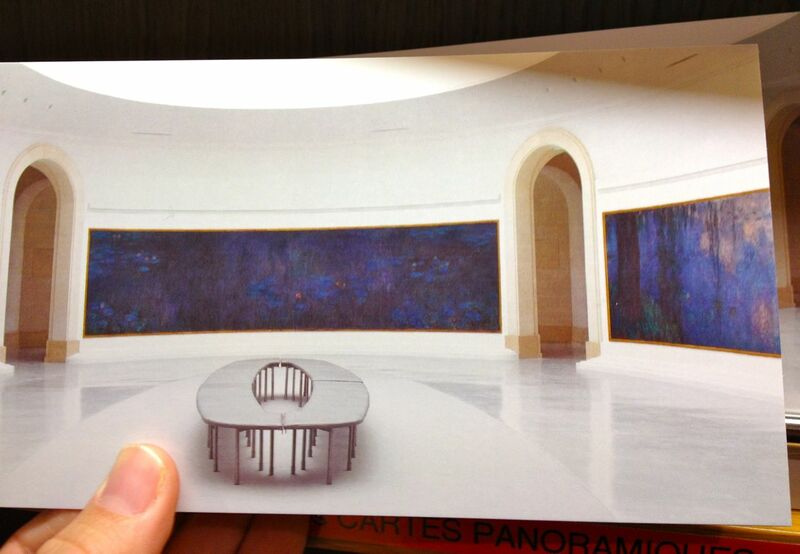 Fortunately for us (and you), Tour 13 includes a web site where photos of all of the artworks have been preserved. You can take a virtual tour of all seven floors of the building and see the incredible variety of work produced, some of which I found quite beautiful (and some not so much). A simple Google search also leads to a stunning array of images here. 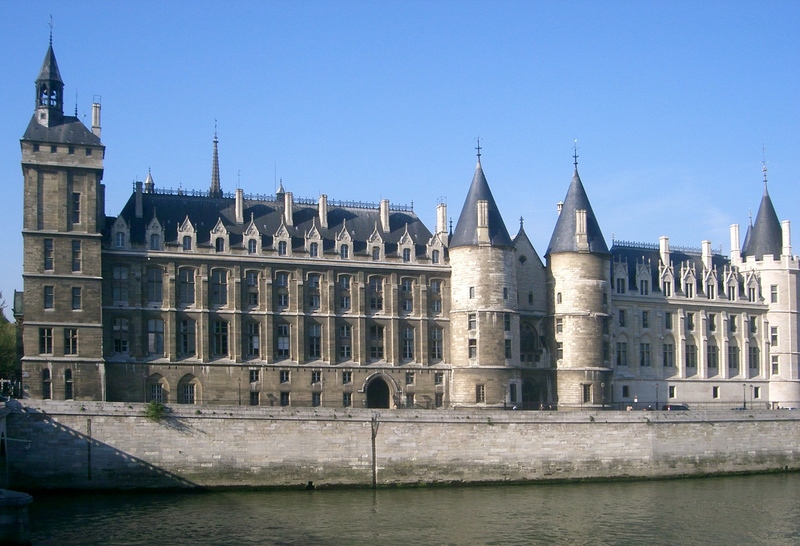 Another highlight of the trip included a visit to the Conciergerie, a complex of medieval buildings on the ile de la Cite, that housed the early Kings of France and that served as a prison during the French Revolution. 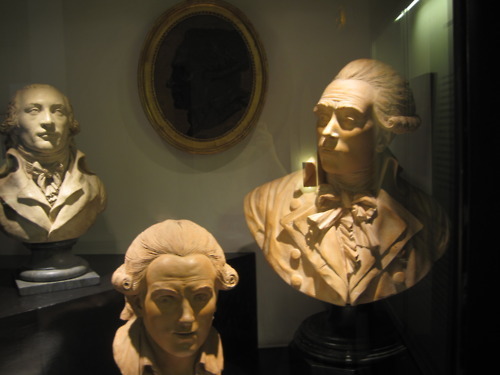 It was here that Marie Antoinette, among many others, was held before her public execution. 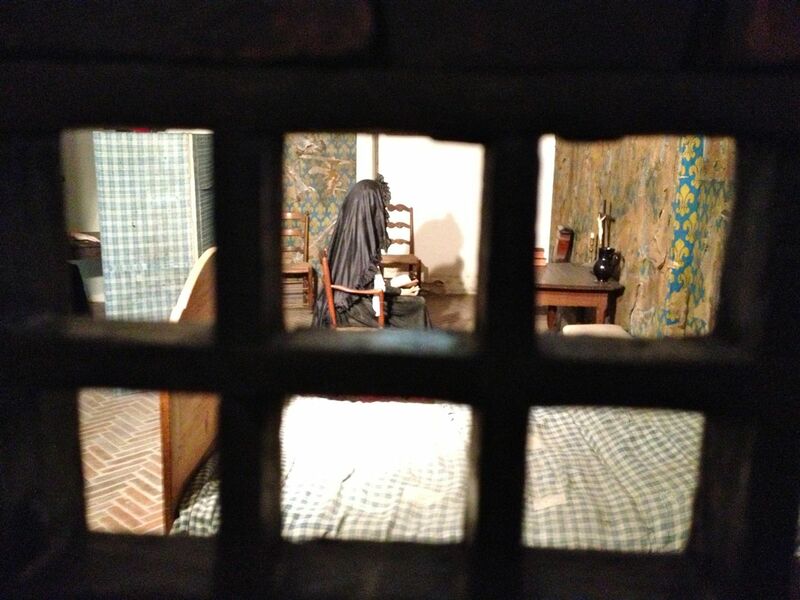 Among the exhibits are the cell where she was imprisoned, along with some personal effects, as well as documents, busts, and memorabilia pertaining to leading figures of the Revolution, such as Robespierre, who too lost his head in the end. I confess to a slight goulish disappointment that there was no guillotine on display. Another museum that did not disappoint was the Musee de l’Orangerie, which houses the most spectacular examples of Claude Monet’s famous “Water Lilies” paintings. Between 1900 and 1926, Monet created over 250 paintings of the water lilies in the gardens surrounding his home in Giverny. Shortly after his death in 1926, two large, oval-shaped rooms were constructed in the Orangerie to house eight of the largest canvasses he created. 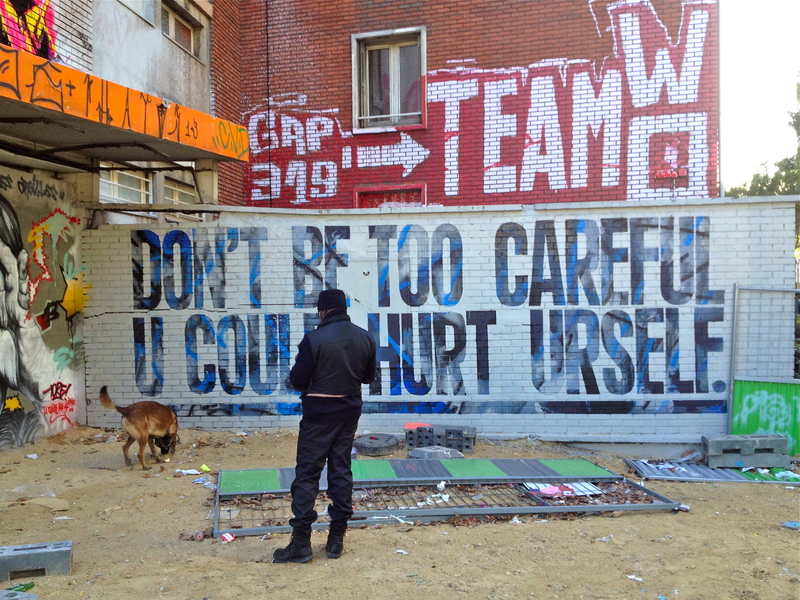 Each canvass is about 6 feet tall and 40 feet long – together they are almost the length of a football field! The combined effect of the space, colour and dimensions of the paintings as one walks into each room is quite stunning. 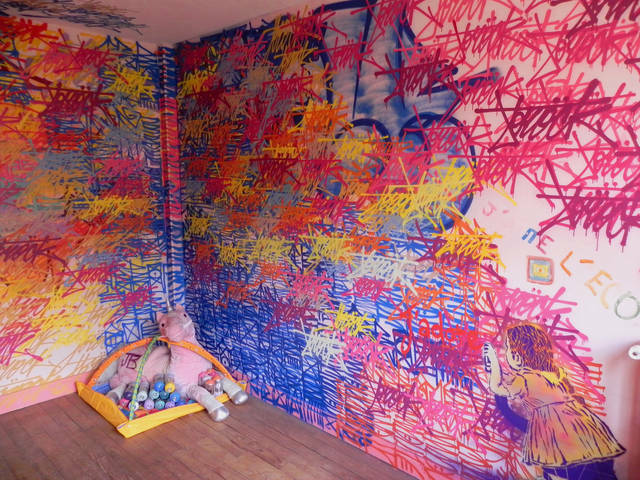 You can take a virtual tour of the rooms yourself here. The day before we left was devoted to a side-trip to the Canadian WW1 memorial at Vimy Ridge. As a war history buff, Vimy Ridge has long held a special attraction for Lachlan, so he and I took a train to the town of Arras, where we hired a taxi for the 10km drive out to the memorial. We spent several hours visiting and admiring the memorial and touring the trenches and tunnels that have been preserved at the site, as well as the cemeteries that mark the graves of over 100,000 Canadian, French, German, Belgian and Moroccan dead. Needless to say this was a powerful experience, one that merits a separate post of its own, so stay tuned for further thoughts and images from the day. 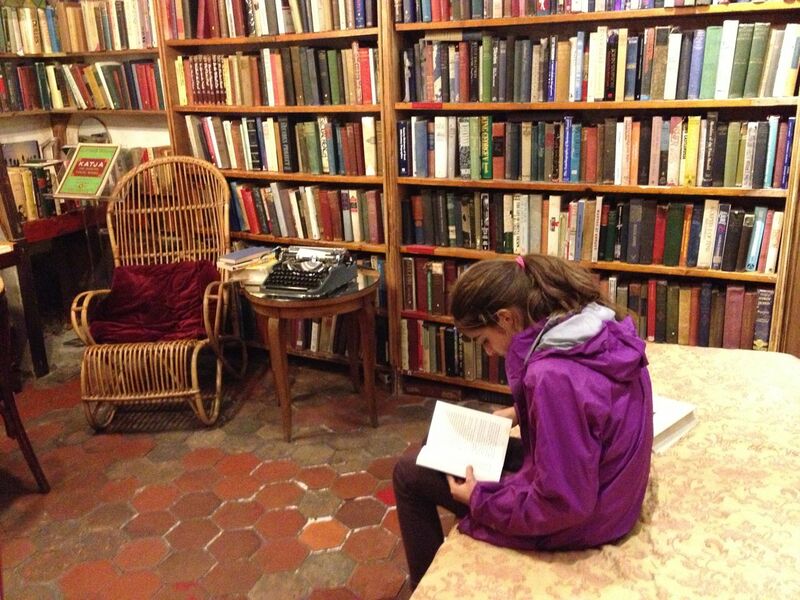 On our last night in Paris we dropped into Shakespeare & Company, an English-language bookshop on the rue de Bucherie, across the river from Notre Dame cathedral, to load up on reading material. 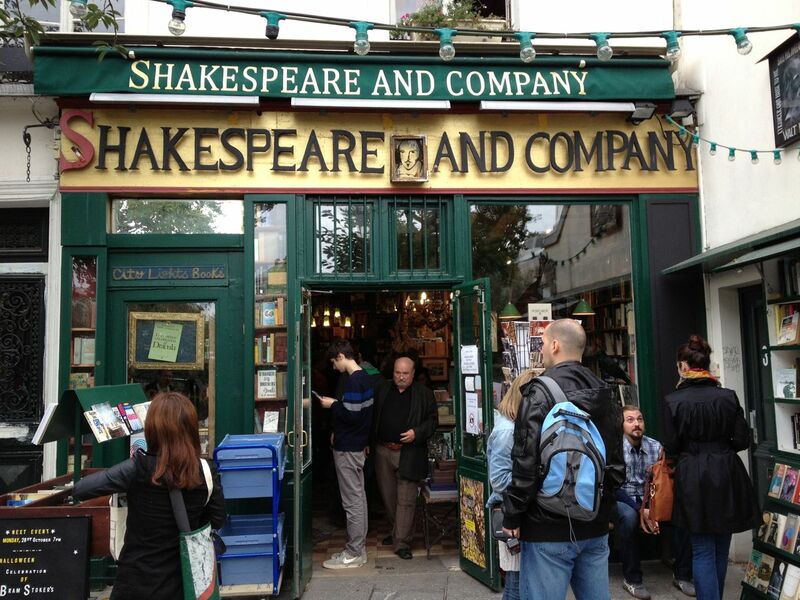 Shakespeare & Co is a literary institution in Paris. Originally opened in 1919, the store became a kind of salon for the anglo-american literary community in the 1920s, counting Joyce, Pound and Hemingway among its guests. The shop eventually closed in 1940. The current Shakespeare & Co was opened in 1951 by George Whitman and, with its comfy chairs, reading rooms and cheap dormatory-style accommodation, it too became a hub of Bohemian Paris, attracting the Beat poets like Ginsberg and Burroughs in the 50s and 60s, along with an endless stream of students, backpackers and literary wannabes. Whitman died in 2011 at the ripe old age of 98, but his daughter carries on the family business and the shop continues to draw an eclectic mix of visitors, even more so after having recently appeared in feature films such as Before Sunset and Woody Allen’s Midnight in Paris. We all spent a good hour or so browsing the shelves, wandering the labyrinthine rooms, and testing the shabby couches and chairs scattered about the place, before finally leaving with bags bursting with reading material. 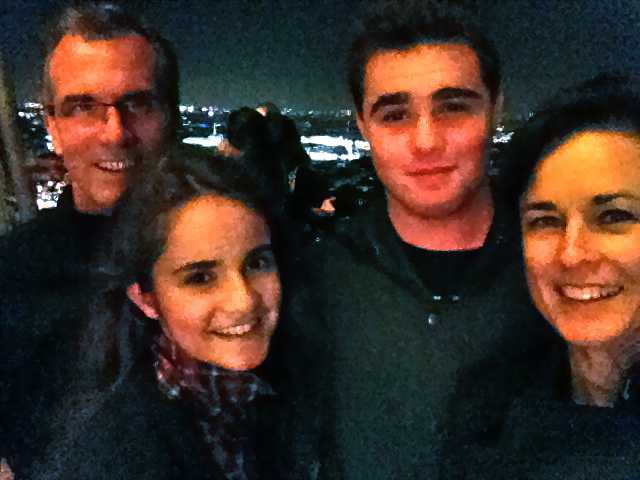 We finished our Paris visit with a late-night trip up the Eiffel tower to admire the city lights. I began this post with a petulant rant about long line-ups, crummy hotels and crappy food in Paris. After proof-reading, however, it’s pretty clear to me now that those were just bumps on the road during what was otherwise a fun and eventful visit. Truth is, even a disappointing day in Paris is probably better than your average day just about anywhere else in the world.